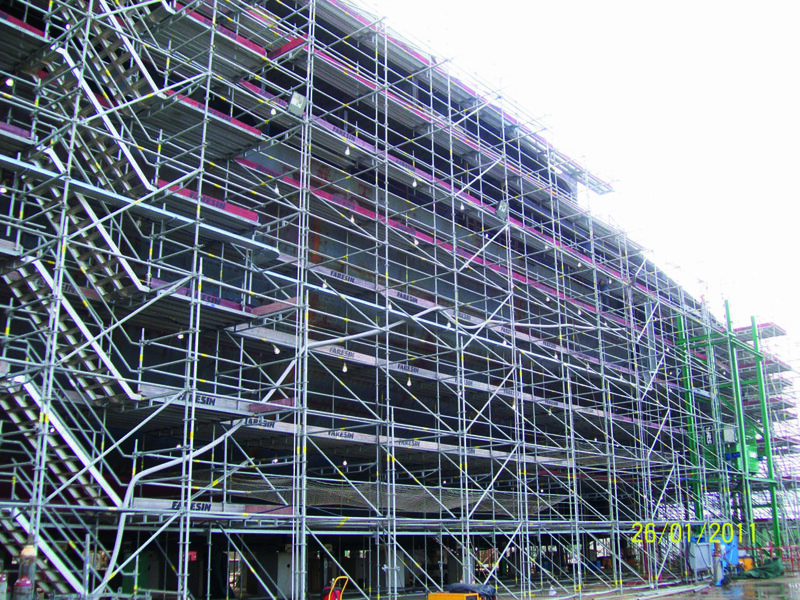 Narrow scaffolding; width 76 cm., which makes it ideal because of the smaller footprint on the ground. 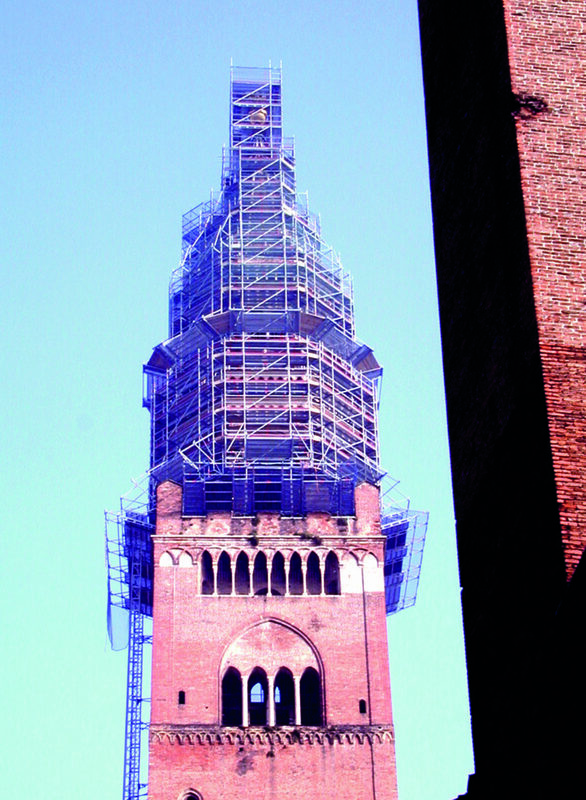 Light scaffolding; compared with traditional metal scaffolding, the weight is about 1/3 and this makes it indispensable when we need a reduced load in the support area, and it is a considerable advantage when the site is located in areas that are difficult to reach such as old city centers. 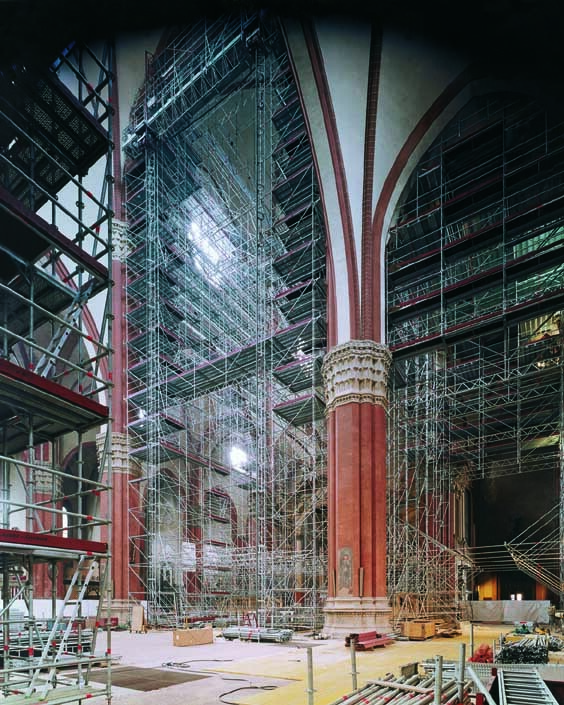 Rapid turnarounds; fast equipment like ours is essential for considerably reducing operating costs during building maintenance work when the intervention times are limited. 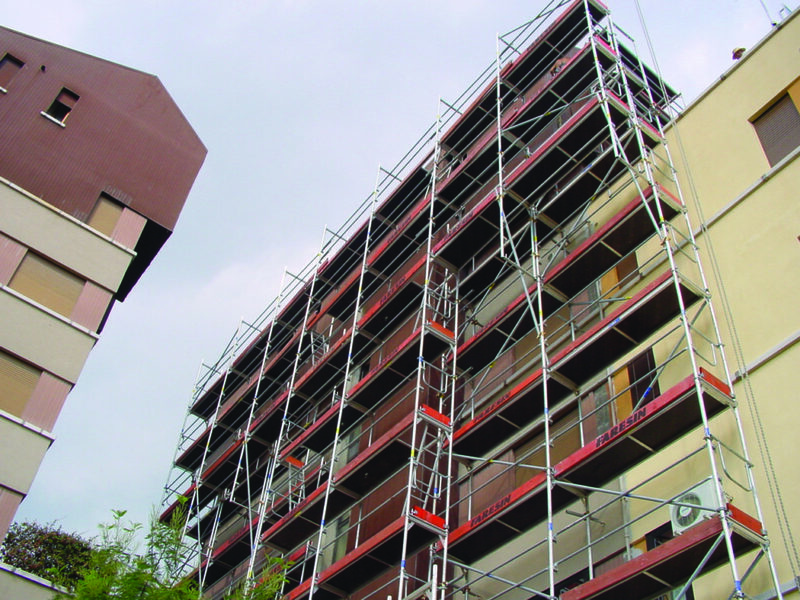 It is possible to compose any possible arrangement using the 4 basic elements of the scaffolding: frame, plank, handrail and foot guard. 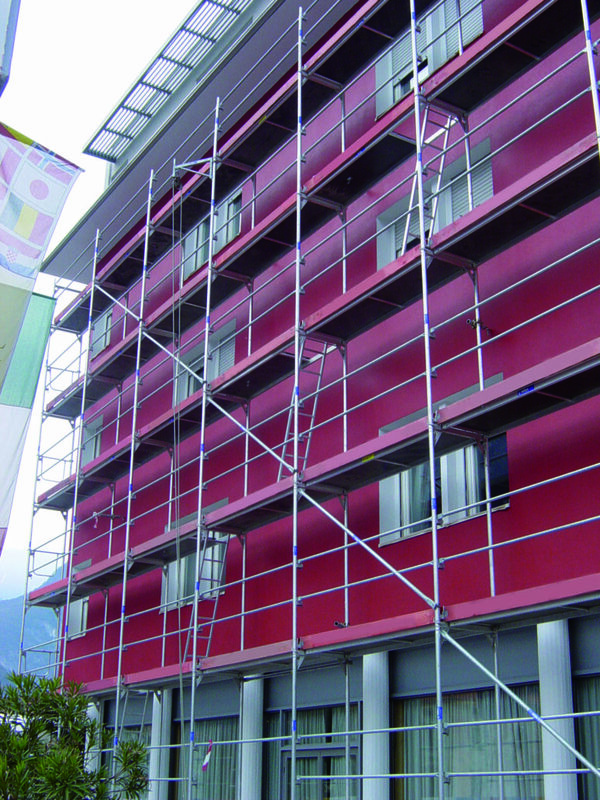 The completion elements, diagonal braces, adjustable bases, end and top guards, finish off the scaffold and make it safe and compliant with the regulations in force. 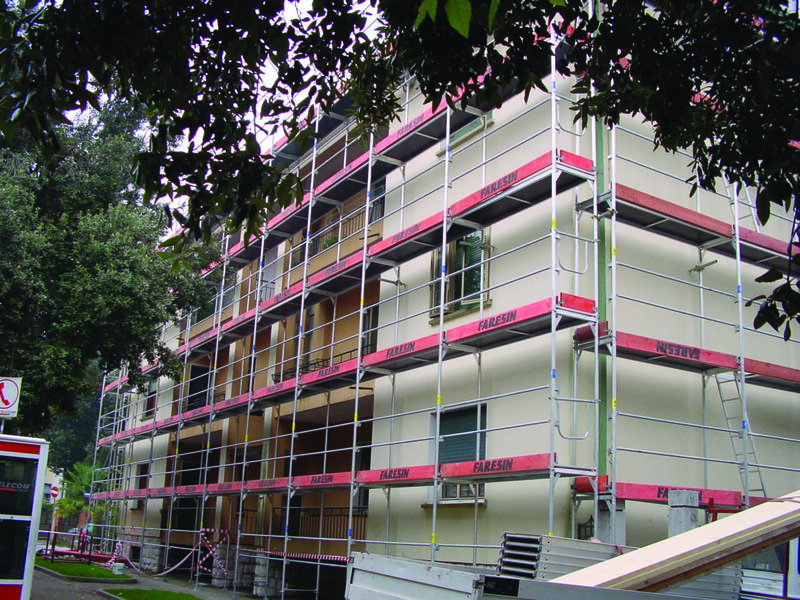 The Basic System can be integrated and customized with useful accessories designed and realized for solving all the possible problems on site. 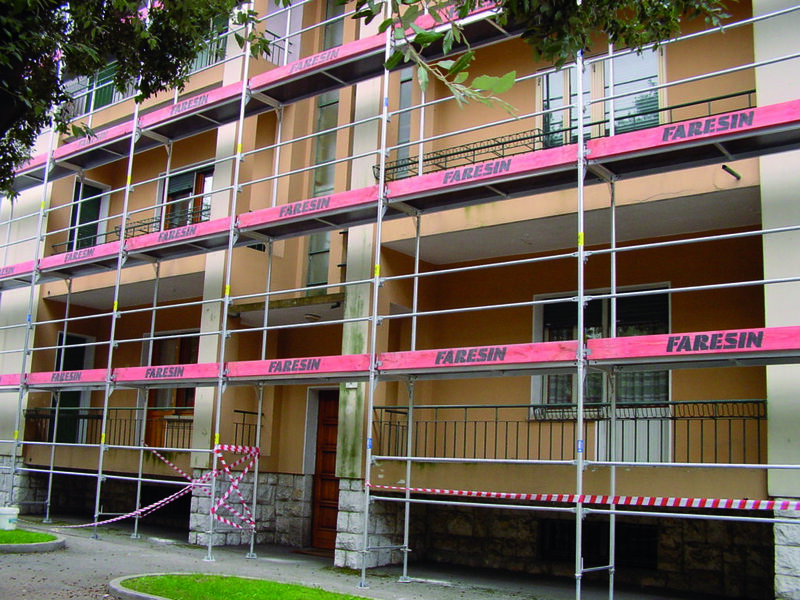 Faresin Formwork aluminium scaffolding is suitable for all categories of users who carry out civil and industrial building maintenance work. 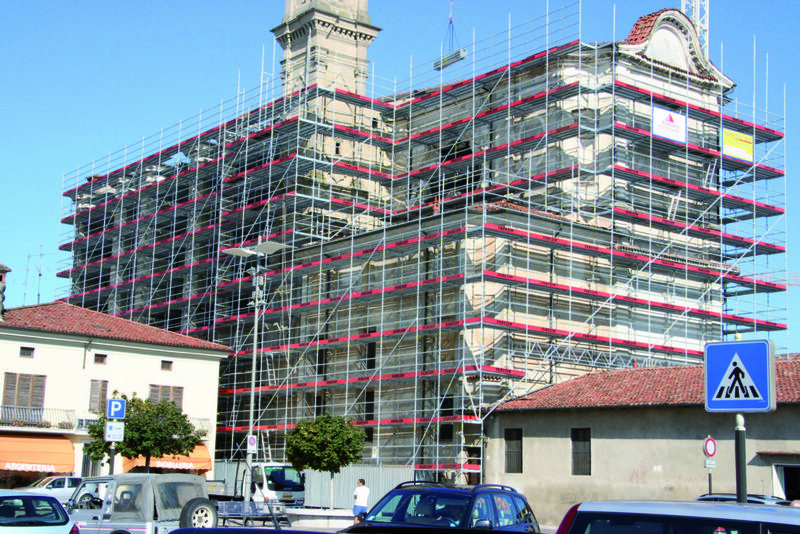 The lightness, the practicality and the maximum adaptability, without overlooking the aesthetic qualities of aluminium, make our scaffolding particularly suitable for maintenance and restoration work ranging from simple painting to insulation, from guttering to roof renovation, and from small jobs on the façade to complex restoration work.